International artist Dan Dubowitz and guest guides will lead a series of free walks around Ancoats to discover the new award-winning spaces and explore how artworks have been part of transforming the area. The 25 guest guides include the archaeologist, architects, artists, developers, directors of regeneration, engineers, journalists, masterplanners, poet and professor of artificial intelligence who have contributed to remaking Ancoats over the last decade. 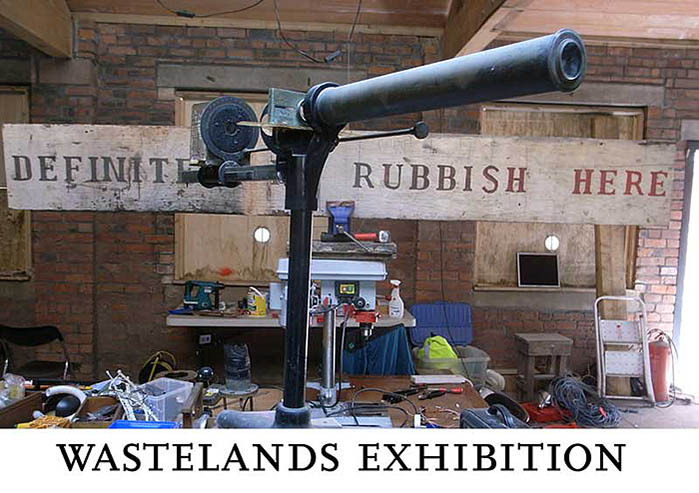 The walks leave from the city centre, through Manchester’s Northern Quarter into the heart of Ancoats, around The Peeps and the Cutting Room Square before finishing up at the ‘Wastelands’ exhibition at the Ice Plant on Blossom Street for an opportunity to chat with the artist and guides. Just turn up at Piccadilly Gardens at the Queen Victoria sculpture. 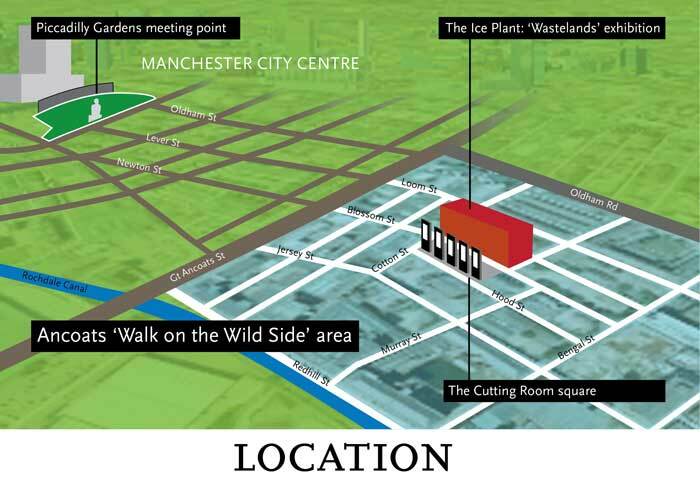 Or come directly to The Cutting Room Square in front of the Ice Plant exhibition 20 minutes after the tour begins in the city centre and join the tour from there. 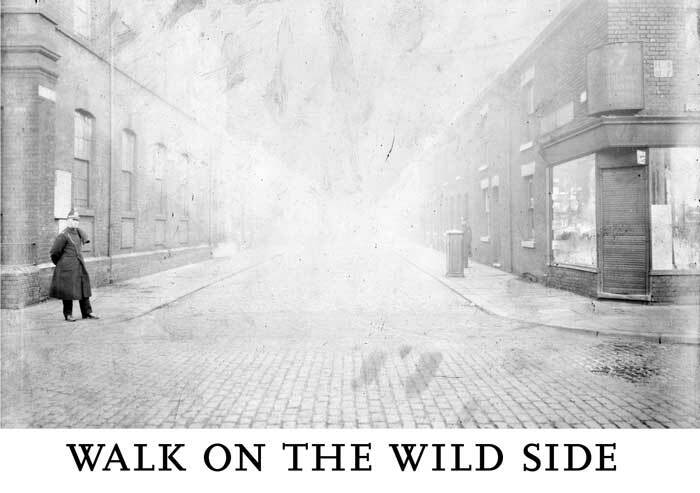 The Ice Plant, off the new Cutting Room Square in Ancoats will host the exhibition Wastelands during the ‘Walk on the Wild Side’ weekend. A selection of Dubowitz’s internationally acclaimed photography from wastelands taken around the world between 2000 and 2010. 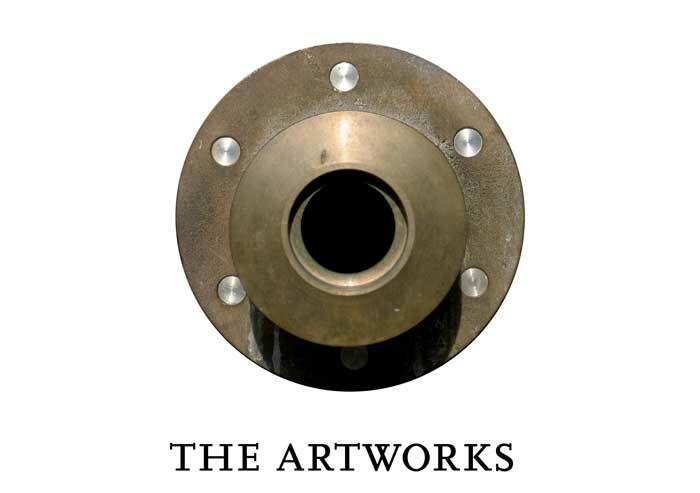 The series started in Ancoats with the ‘Presence of Absence’ and went on to include Ellis Island in New York, Cuba and extraordinary cultural sites in ruins across Europe. 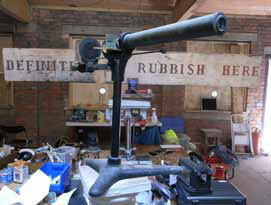 The exhibition includes the sound installation ‘Ancoats Stories’ and ‘Definitely no rubbish here’, finds from the mills 2003–2010. 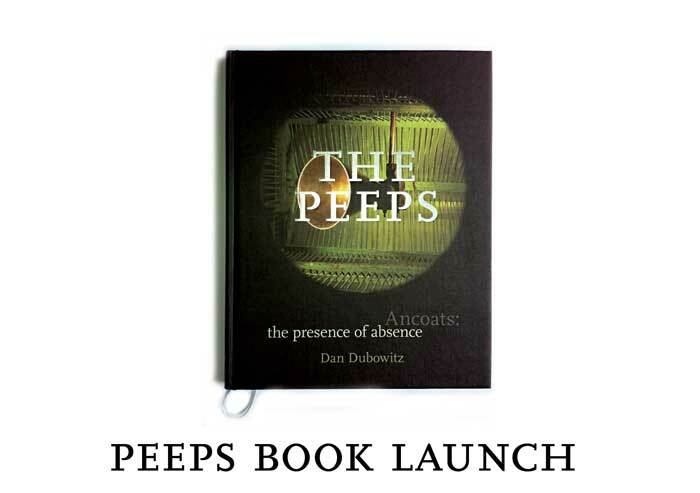 The book of the Peeps and the Cutting Room artworks is now available in bookshops. 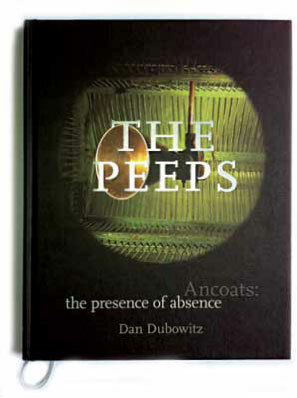 The Peeps and the Cutting Room are two very different permanent public artworks in Ancoats. They speak to the rich and vibrant history of the area, and are now part of its future. 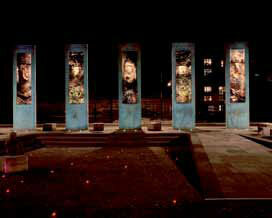 The Peeps are viewed through a series of brass eye pieces built into the walls of Ancoats. Each offers a glimpse into a space that has been walled up. There are no plaques or interpretation panels, or a map. 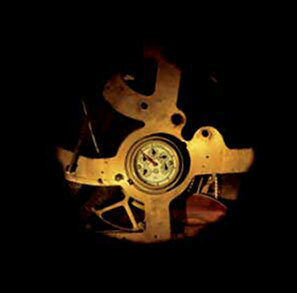 They should be discovered as you explore the area and get under the skin of the place. The Cutting Room Square is the first ever public square in the area’s 250 year history. Completed in 2009 this award winning space is oriented around a series of five giant sentinels that hold glowing photographs, slices of images of the cutting and pattern rooms of nearby Royal Mills. What are the Ancoats Peeps?